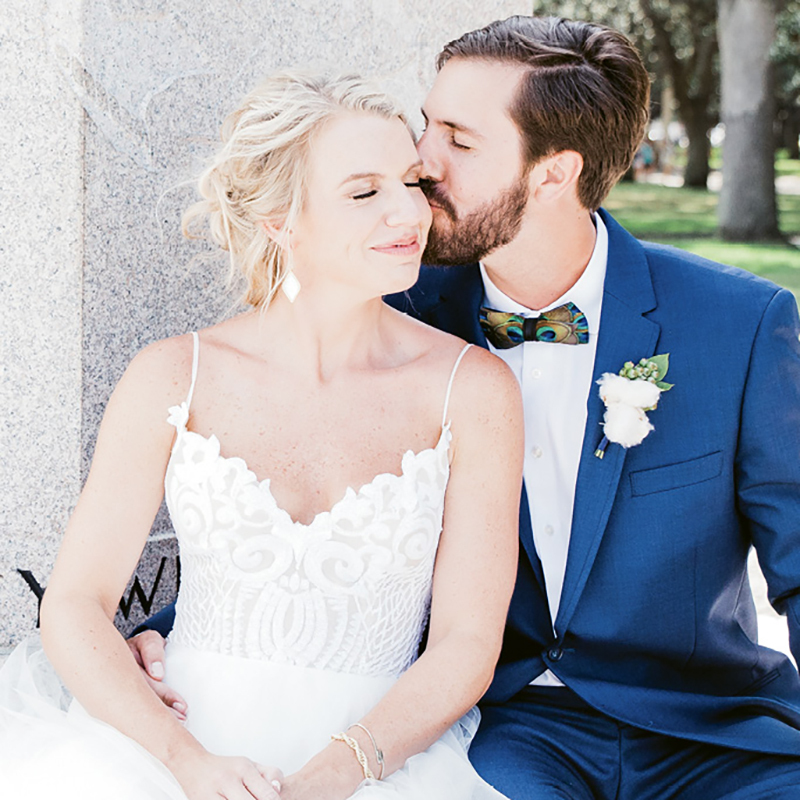 Kate and Chad first met during a night out on King Street, when they found one another on the Midtown dance floor. The duo started dating shortly thereafter, and four years later, Chad proposed during a picnic at Charles Towne Landingon a perfect October evening. Afterward, friends surprised them with an engagement party and the celebration continued at a Third Eye Blind concert. The wedding took place the next June at Saint Patrick’s Cathedral, followed by a reception at Woolfe Street Playhouse. Kate, a nurse anesthetist, and Chad, a civil engineer, reside in West Ashley.